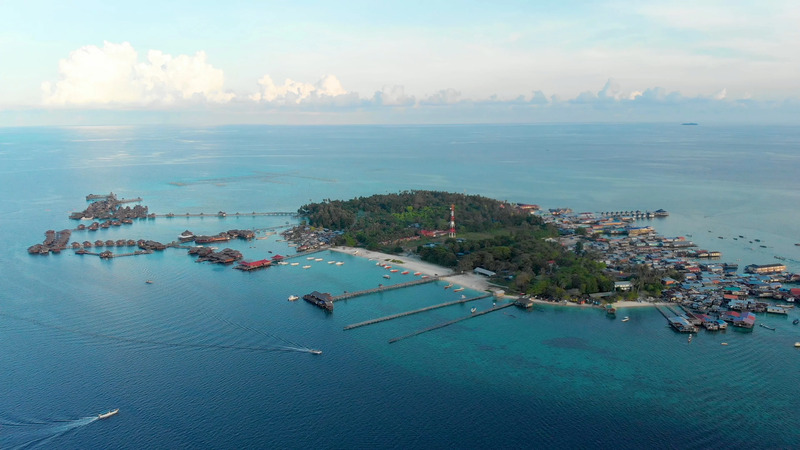 Aerial View Of Mabul, Borneo, Malaysia. Shot In 4K. Description: One of the most beautiful dive spots in the world.